While there's plenty of dedicated smartwatches and fitness trackers out there to help you keep basic tabs on your health, a new device known as Smart Buckle is aiming to upgrade your regular watch with the same smart features. 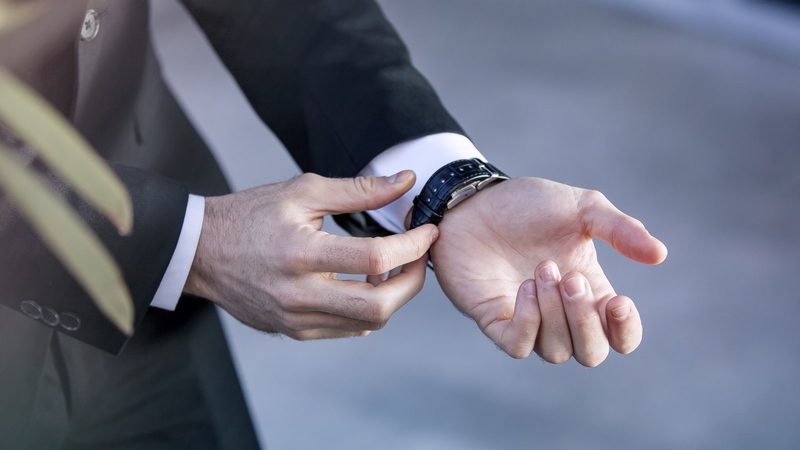 The small strap attachment, which is available on Kickstarter, is able to fit onto the likes of Rolex, Tag Heuer and Hublot watches to track everything from calories, distance and steps to sleep movements and trends. The Smart Buckle also has a waterproof rating of IP57, meaning it can survive submersion of up to 1m for 30 minutes, and can be fitted onto the wrist for around a week. That means you'll be able to track your activity, which uses its companion app to sync with Google Fit and Apple Health, for an average of around 10 hours per day before having to juice things back up — something which takes an hour, according to the team behind the buckle, Gooseberry. But while the signs are encouraging for those looking to make their dumb watch a smart one, design is also a major factor here. Judging from the video above, the Smart Buckle doesn't appear to be too obtrusive, and simply acts as an extension to your regular strap that remains hidden when worn. Whether it fits with your particular analogue, though, depends on if it matches with the 23 x 42 x 8mm size of the buckle. Early bird perks for backing the company's campaign are set to begin at $39, which is a healthy snip off the eventual retail price of $99.99. Though, as always with crowdfunding projects, it's important to exercise some caution.